Why is it necessary to include a picture with my application? Numerous student applications are submitted each year and many students meet with our representatives in their respective schools. Having a picture enhances our ability to remember and recognize you as an individual. Do I need to know Hebrew to attend the program? No, you don’t need to know Hebrew. All Hebrew or Aramaic texts are translated into English. 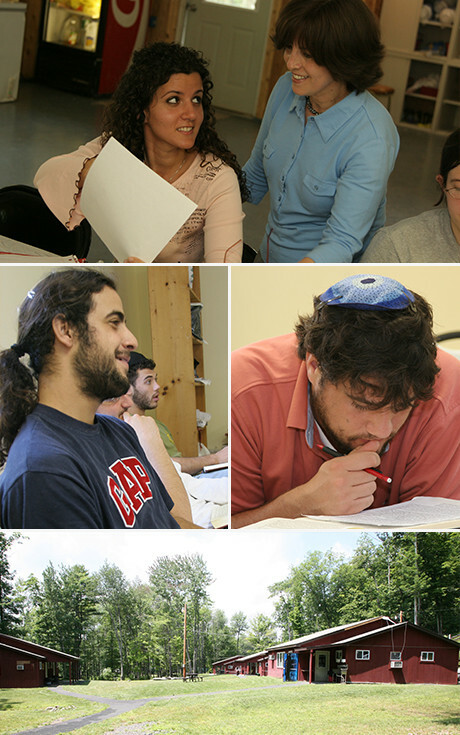 Students that join the program represent the entire spectrum of Jewish life, with some never having attended Hebrew school or services. I have never studied Talmud. Will this be a problem? Even if you have never studied Talmud you will be able to enjoy and experience its intricacies and famed Talmudic reasoning first-hand without feeling hindered in any way. Are there any tests or assignments? There are no tests, exams or quizzes, but there is a required term paper as well as periodic reactionary papers for which time will be allocated during the program. There is some required reading of books in our book club. These books will generally be given to you to keep as gifts. How intense are the classes? The classes are generally on a higher level. In what year was the JSF founded? The JSF was founded in 1985. Formally known as ILTSE, in 2013 the program’s name was changed to JSF. There are a generous variety of activities offered to students of the JSF such as hiking, canoeing, swimming, whitewater rafting, barbecues, and trips to NYC. Do I have to be observant to attend the program? No. You do not have to be observant, but students are asked to adhere to certain standards while attending the program. These include consistent attendance of all classes, (including prayer), men wearing a Kippah (skull cap) in public, and public observance of Shabbat. Details are provided in the Program Guidelines. Do I have to be Jewish to attend the program? Yes. Being Jewish is a prerequisite for program participation. Exceptions have been made, so feel free to contact us and a decision will be made on a personal basis. To which religious denomination does the program belong? The program presents a view of Orthodox Judaism. It is a Live and Learn experience; you don’t need to be Orthodox, but you will experience it. Will I have to pay for room and board? No. There is no charge for any service or food provided during the JSF summer program. There is a nominal $35 book fee and pocket money is sometimes suggested for outings. A stipend is a predetermined amount of money paid to students for participating and completing the program. Mr. Ira and Mrs Ingeborg Rennert have been proudly sponsoring the JSF stipends since the program’s inception in the summer of 1985, allowing students to spend their summers learning with no worry of financial burdens.